UPDATE #4: There are still 8 spots left, so you may claim a spot by arriving early with exact cash. Also, there are usually 4 no-shows for this event, so you just might be able to join us. Make sure to come early with exact cash. I recommend that you pack a lunch, as most wineries only sell cheese and crackers for food. It’s completely optional, but please consider tipping the bus driver a few bucks. It’s a long trip, and I’m sure s/he will welcome the show of appreciation. UPDATE #2: The early-bird price has ended and the ticket price is now $60. I look forward to seeing you there! UPDATE #1: There are fewer than 10 early bird spots left and the price will increase from $50 to $60 when the early bird spots are gone or by Sun. Apr. 22nd (whichever comes first). To be fair to those who want to join in and are ready to make payment, I’ll be removing those that haven’t paid by Sun. Apr. 15th. Make payment to lock in the early bird price and your spot (see the “Payment” section of the event posting). If you’ve already made payment, the PayPal email you received is confirmation that we’ve received your payment (no need to message me asking for ticket confirmation). This UPDATE has been emailed to the yes RSVPs. I hope to see you there! Ok, this one’s for the wine lovers in our group… or anyone who wants to enjoy and learn all about wine!! I’ve reserved a charter bus for us, and will make special arrangements with 2 or 3 different wineries, for a Saturday bus winery tour! So far, we will be visiting Dry Mill Vineyards and Doukenie Winery! Dry Mill Vineyards is nestled in Virginia Hunt Country, surrounded by the majestic beauty of the Blue Ridge Mountains and is one of Northern Virginia’s “old school” wineries. Built by a family with a passion for grape growing and the love of wine, Dry Mill Vineyards combines old country grape varietals with the latest wine-making techniques to produce deeply satisfying, approachable wines for all palates. 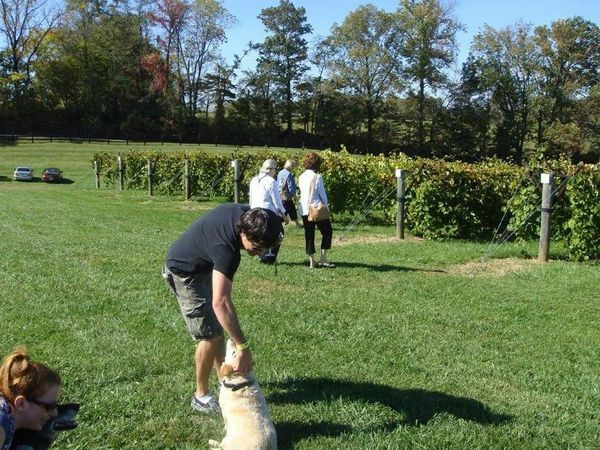 With a 4.5 rating on TripAdvisor, Doukénie Winery is a family run winery located in Loudoun County, DC’s Wine Country where we’ll feel the warmth and hospitality of the Bazaco family from the moment we enter the tasting room. Sit back and relax on our way home! We are also eligible for discounts on wine bottle purchases!… and wine tasting fees ($10 – $20 at each winery) *are* included in our ticket price! Lunch is not, so I recommend packing a sandwich. The bus will leave promptly at 11:30am and return approximately 5 – 5:30pm (depending on traffic). I’ll be the one with the red flag (1 foot x 1 foot in size) with the word “ACK” on it, at the top of the Ballston Metro escalators! We’ve got an early bird special for this event of $50. The first 45 paid sign-ups, or those who pay by Sunday, April, 22nd get the early bird price! After that, the ticket price will go to $60. We have a LIMITED number of spots so make sure to RSVP early AND make payment to secure your spot and get the early bird price! To make payment, please follow the steps in the “Payment” section of the event posting. 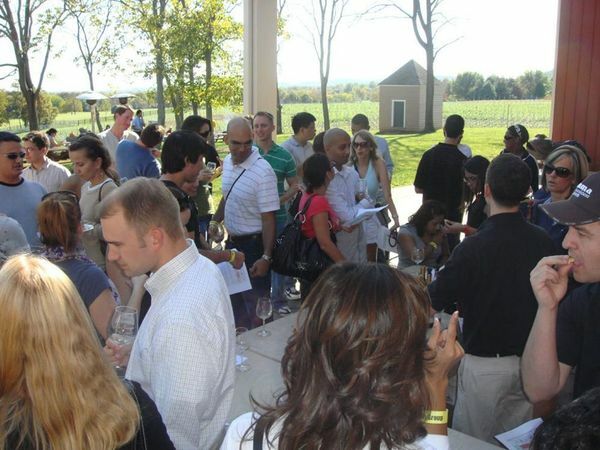 Come join us as we spend a pleasant and relaxing day amongst other wine lovers from our group! The closest Metro is Ballston Metro (Orange, Silver lines). I suggest Metro / cabbing / Uber’ing if you can. I also recommend using wmata.com for travel planning. Don’t forget to account for Metro, traffic, and parking delays. If you are driving, you will need to find street parking or a garage. I recommend using parkopedia.com for garage parking planning. Please be on time. If you are late (arrive after the start time of 11am), you risk the possibility of not being able to join us for some or all of the event. I will have a master list of all those that have paid. It’s not required, but I recommend printing out your payment confirmation email as a backup (if you are not on the list, you will be required to show it). When you check-in, your RSVP will be listed under the name of the PayPal or credit card account used to make payment. Typically, this is your LEGAL name as shown on your driver’s license. Sometimes, it may be under a company name if you set up your PayPal or credit card account that way. If you are not sure what it is, please log into your PayPal account (it will say “Welcome, [your account name]” at the top) or your credit card account to find out. If you are RSVP’d under someone else’s payment, please use that name for check-in. Similar to a concert ticket or a football game ticket, you are free to sell / transfer your ticket to someone else if you are unable to attend. I suggest posting in the comment box for the event, that you have a ticket for sale / transfer. Work out any payment between yourselves, and have the seller only send me (the organizer) a message through my Meetup profile (do not comment in the comment box of the event posting) letting me know the first AND last name, and Meetup profile URL (if a member) of the person taking your spot (please also copy them on the message). To obtain their Meetup profile URL, go to their profile from the mobile website or your computer (not the app), and copy & paste the URL from your browser. I host a lot of events and groups, so please let me know the event name and group name the ticket transfer is for. You must let me know by the RSVP close time of 8am on the day of the event. Should inclement weather (e.g. snow storm, hurricane, etc.) affect our event, we’ll need to reschedule or cancel. If any one of the following is not available for service due to inclement weather, we’ll need to do so: Metrorail is not running to all stops; Uber (X, SUV, etc.) is not running or available at no more than 2x standard rates; venue(s) are not open. I’ll post an UPDATE to the top of the event posting by 8:30am on the day of our event with the details.